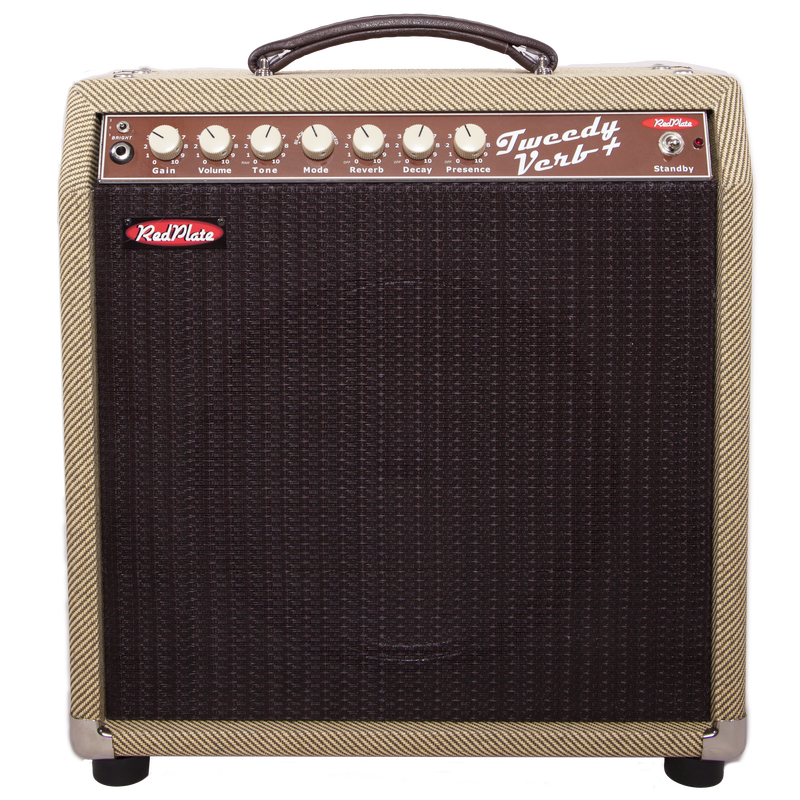 TweedyVerb+ in Bone tolex with new logo plate. 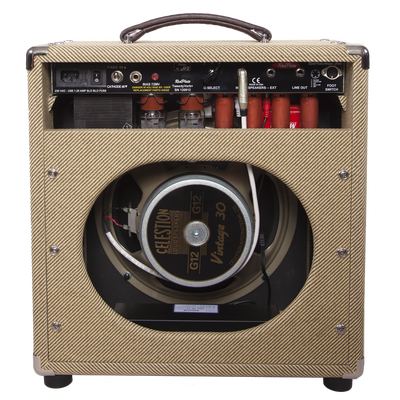 The ﻿TweedyVerb+﻿ is the perfect grab-and-go amp – a very loud 40 watts (2 6L6) in a “Champ” sized package. Our smallest package but packs a punch. 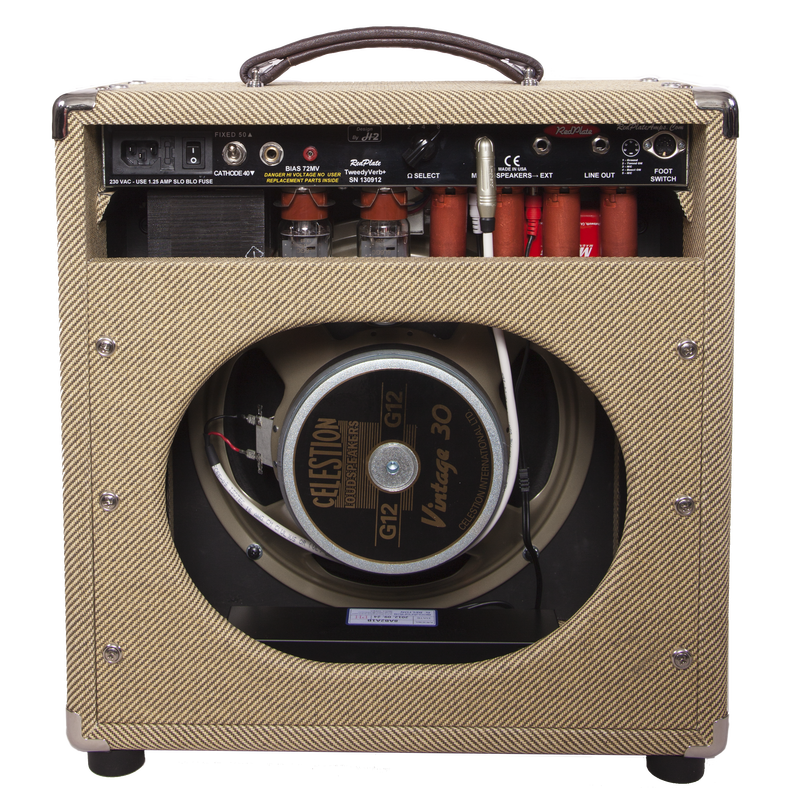 This may be our smallest offering but still a flexible and pedal friendly amp with the ability to match up to all guitar types-the perfect “sleeper amp” for jam night. 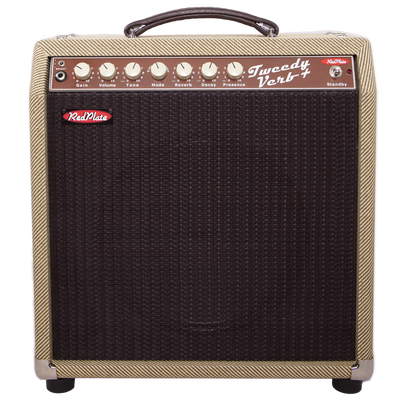 The two tube medium tank reverb goes from subtle to surf and all points in between.